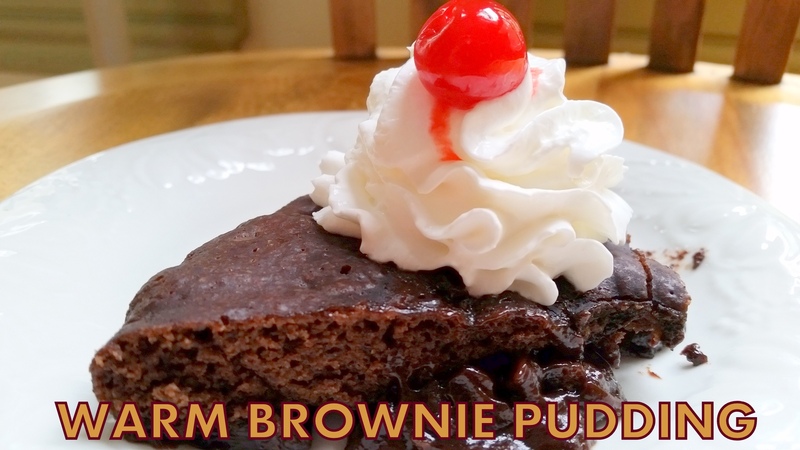 WARM BROWNIE PUDDING & SLOW COOKER DESSERTS COOKBOOK GIVEAWAY! I love warm brownies out of the oven…..oh yeah, that ooey gooey chocolate dribbling down your chin… wait! You can make this in your slow cooker! Just set it and you can leave your house all day and come back to this amazing smell of warm brownie pudding wafting in your home! This is one of my all time favorite desserts! This fudgy brownie pudding cake makes it’s own chocolate sauce as it bakes! For an over the top dessert serve with whipped cream or a scoop of vanilla ice cream! This giveaway is sponsored by SLOW COOKER DESSERTS, OH SO EASY, OH SO DELICIOUS! Authors: Roxanne Wyss and Kathy Moore. Now you can make all your favorite classic desserts in your slow cooker! Say good bye to constantly checking the oven to make sure your special cake doesn’t overbake- the slow cooker does all the work for you at a stress free pace. Inside, you’ll find recipes for all your favorite decadent desserts, such as German chocolate cheesecake, zippy cappuccino bread pudding, sweet and tangy peach and mango cobbler, and easy crispy peanut candy- all designed to bake in your slow cooker. SLOW COOKER DESSERTS: Oh So Easy, Oh So Delicious! is an innovative new cookbook from Roxanne Wyss and Kathy Moore, the authors behind The Newlywed Cookbook and the popular blog, Plugged Into Cooking. Publishing September 1st from St. Martin’s Griffin,SLOW COOKER DESSERTS provides home cooks with over 50 mouthwatering recipes, color photographs, and many tips to making the very best desserts for any season by harnessing the even heat and moist environment of the slow cooker. Using 1 Tablespoon butter, generously butter a 4 -quart slow cooker. In a medium bowl, whisk together the flour, ¾ cup sugar, 3 tablespoons cocoa, baking powder, and salt. Stir in milk, oil and vanilla, stir until blended. Spoon the batter into the buttered slow cooker. In another bowl, whisk together the remaining ½ cup sugar, remaining ¼ cup cocoa, brown sugar, and the boiling water. Whisk until the sugar is dissolved, and then pour gently over the batterin the slow cooker. Do not stir. Cover te slow cooker and bake on high for 2 to 2½ hours or until the top is set. Unplug the slow cooker and let stand for 30 minutes. To serve, spoon the warm brownie pudding and sauce into individual dishes and top, if desired with whipped cream and a cherry/ ice cream. One lucky reader will win 1 cookbook: SLOW COOKER DESSERTS: Oh So Easy, Oh So Delicious! Please leave a comment, What Slow Cooker dessert would you like to make? St. Martin’s Press Publicity is responsible for prize fulfillment. This giveaway is open to the US and Canada and ends October 13, 2015 at 11:59 PM EST. SPREAD THE WORD AND SHARE MY RECIPES AND GIVEAWAYS! Something with apples for this time of year. I’m a sucker for anything chocolate, this brownie pudding is making my mouth water! This Warm Brownie Pudding looks pretty good! I already subscribe to you!! I would love to make some kind of apple pie in the slow cooker! My husband will flip for this one and so easy to make. I would love to try to make Lemon Cheesecake. I use my slow cooker all the time but never to make dessert. Not anymore!